The best in Forest Lawn. This renovated home is located on one of the best streets directly across from a beautiful church & green area. Offering a bright open floor plan with plenty of large windows for natural sunlight. Features: total 4 bedrooms (2 up, 2 down), 2 full baths & a single detached garage. Interior has been completely updated including the kitchen, flooring, bathrooms, developed basement, light fixtures, paint, etc. Main floor has a large living room and separate spacious dining room. Modern bright white kitchen w/ tons of cupboards & counter space, nice appliance package & pantry. Everything has been replaced in the kitchen. Two large bedroom & a full bathroom on main floor. Lower level is developed and updated w/ two bedrooms & 2nd full bath, laundry w/ washer & dryer included & a spacious family room area, also storage space. 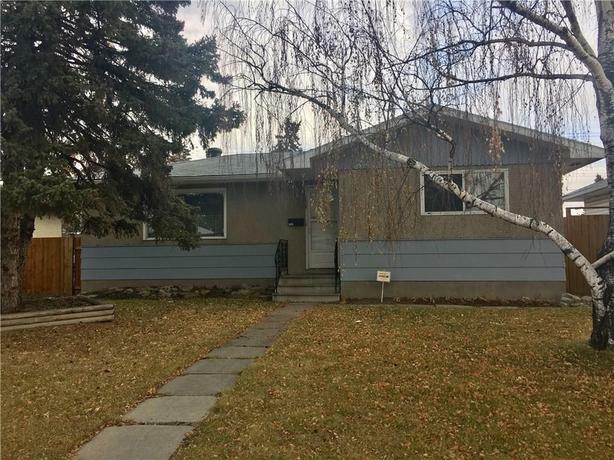 Separate entrance to the lower level & a huge updated fence & landscaped backyard. This home shows exceptionally well and is super clean. Lovely home!! Furnace and HWT have both been replaced.